Where are your Training Centres ? We have a total of 3 centres at Ampang , Taman Desa and Puncak Jalil. View the location here. At what age can we send our puppy to attend Dog Obedience Training ? Once your puppies attain the age of 3 months and has finish all the three vaccinations, you can send your puppies to attend our Puppycom Smart Dog Training Course. My dog has not been trained, what is the course I should sign up ? Do you offer CGC Canine Good Citizen Training ? Yes we do. CGC is included in our Puppycom Smart Dog Training Course. Will a CGC certificate be issued at the end of the course ? Dogs that have completed the Puppycom Smart Dog Training Course or other Obedience Courses will need to sit for a test at the end of the course and dogs that passed the CGC Test and Dog Obedience Test will be issued a certificate. If my dog fail the CGC Test, can I resit for the test ? What is the benefit of training puppies from the very young age of three months ? In Dog Obedience Training we basically train the puppies to promote Good Behavior so that your puppies will learn all the good behavior as they grow. Training your puppies at much later stage mean that your puppies may pick up a lot of bad behavior before they are being trained. More effort will then be need later to correct those bad behavior. I have a 4 months old German Shepherd puppy. Should I join a group training course or send the my puppy to a dog trainer to train ? The training for all puppies should start at 3 months of age and it is always more benefit to join a Group Training Course whereby the dog handler will be taught on how to handle their puppies with the presence of other dogs and human. During such training course, your puppies will also have the chance to socialize with other dogs which is extremely crucial for dog breed such as German Shepherd, Rottweiler, Doberman, Belgium Shepherd and more. Joining a Group Training Course mean that you as the dog owner will learn a lot of dog handling skill which is very useful throughout the life of your dog. I have a 3 years old Rottweiler and is very aggressive, which course should I sign up ? Do I need to come with my dog to join the group training or I just leave the dog at the training centre ? As the training involve training you as the dog handler on how to handle your dog to get your dog to obey your commands and body language, you need to be around with your dog during the training sessions. I have problem transporting my dog to the training centre as my dog is not able to stay still during the trip and I not have others that help to secure the dog. What do you recommend ? The best way is to transport your dog in a pet carrier such as Pet Cargo. Transport your dog alone without pet carrier can be very dangerous as your dog may distract your attention during driving and in the process post danger to yourself and others on the road. In the event of accident, the use of pet carrier will ensure that your dog is not flying around during the event of collision. For a guide, Large Dog will need Pet Cargo 800 or 900. Buying the correct size also determine by the type of car your drive. Most Large SUV such as Honda CRV will be able carry a Pet Cargo 800 but not 900. I need to meet your trainer to have a face to face talk. Where should I go ? You can come to our office at Puncak Jalil at 11-1, 1st Floor, Jalan PUJ 3/12, Puncak Jalil, 43300 Seri Kembangan, Selangor. If you need the location of our office, send us a WhatsApp message to 019-3256289 and we will be able to share our office location via WhatsApp. 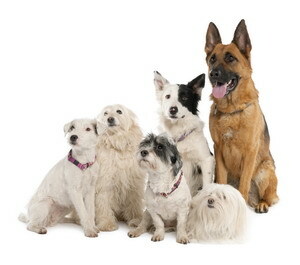 8 of us would like to sign up for Dog Obedience Training Course, is there any special package we can opt for ? In such case, you can opt for Group Sign Up at RM 2544 with GST included and for up to 8 dogs in one group. For group sign up, you can opt for training with either Ampang, Puncak Jalil, Ara Damansara or any other place in the vicinity of KL City Centre of PJ. I need help on the location of your training centres. Can you send me the location ? All that you need to do is to send an WhatsApp message to us to 019-3256289 and tell us you need to have the location of says Ampang Training Centre and we will be able to share the exact location via WhatsApp. Is your training course open to Public ? Yes, it is open to all that own dogs. What are the training courses that you offer ? Can I bring my mixed breed dog to attend the Dog Obedience Training ? How many Trainee are there is a class ? In most cases, there will be only 8 trainee to one trainer. I am going to join your training class, what are the thing that I need to bring along to the class ? I have a large breed dog. What type leash is suitable for training ? For training, you will need to get a leash of 6 feet in length and preferably flat nylon for easy handling. You can view and purchase the leash online on PET.my. I have a few Dog Harness for my dog. Can I use that for training ? No. Dog Harness is not suitable for dog training. Why is it very important to bring along water bowl and not to feed your dog water from a bottle with discharge head ? As the weather in Malaysia is generally hot and after some obedience exercise, the body temperature of your dog will increase and there is need for the dog to cool down from time to time. Feeding your dog water from a water bowl mean that your dog has the chance to dip her tongue into the water to release body heat. Do I need to bring along Dog Treats for training ? If I miss one class, will the class be replaced for me ? For Group Training, there will not be any class replacement for trainee who miss any classes. Since there will be constant revision of various exercise from time to time, you will most likely picked up what you missed at later classes. Which are the Days that you hold your Group Training Classes ? I am not able to attend the your weekend classes, what are my option ? I am interested to send my dog to join your Dog Agility Training. Do I need to join the dog obedience training before enroll my dog for Agility Training ? Not necessary but preferably. If your dog has not been trained for dog obedience, you will then need to join the Agility Foundation Training before training your dog to clear obstacles and running the agility circuit. Can I sign up to use your Agility Equipment ? For dog owners who wish to use our Agility Equipment and venue for Agility Run for their dog, you can sign up to use the equipment at this URL. Do you offer House Breaking Training or “Toilet Training” for Dogs ? Our Trainers for Puppy and Basic Obedience Class will be able to guide you various ways that you can use to train your dog pee and poo at places that you want. In the event that you need our trainer to help you on the Potty Training, you can consider to sign up for the Potty Training Course. I am training my dog for Potty and House Breaking. Can you tell me type of Dog Toilet that I can purchase ? You can either purchase Dog Toilet or Toilet Tray and add Training Pad on it. Do you offer refund for training courses signed up ? Does my dog need to be microchipped before joining the Dog Obedience Training Course ? I need to purchase some Stainless Steel Dog Cage for my dogs, where can I get it ? You consider buying stainless steel dog cage made of either 304 material or 201 material for the Pet Online Store. Do you offer Dog Boarding Services ? If you find that the question that you wish to ask is not included in the Dog Training FAQ above, you can email your question to us. From there we will also include your question and our answer to be included in the Dog Training FAQ for the benefit of future readers. Call us at 019-3256289 or 603.89449965 or email us at info@puppycom.my for more information.